You won’t want to miss our upcoming special events that fund the important mentoring programs we do with girls year round. 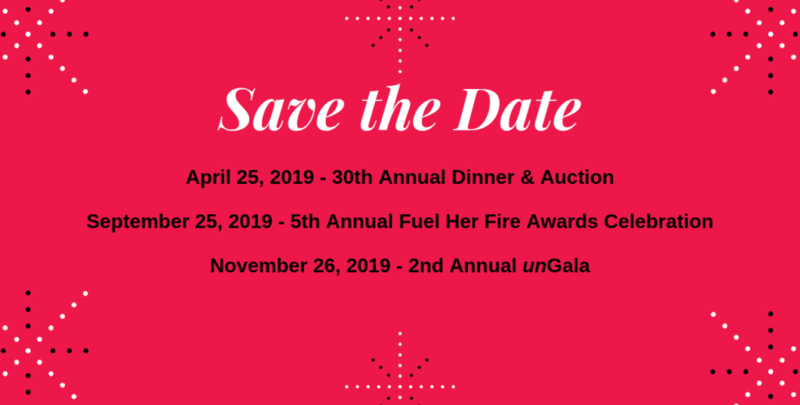 5th Annual Fuel Her Fire Awards Celebration – September 25, 2019 at Wolfert’s Roost Country Club. A business luncheon that inspires, this event is now from 11:30 am – 1:00 p.m.
2nd Annual unGala – Giving Tuesday, November 26, 2019, at the location of your choosing!